Asilah is a sleepy fishing town in the North of Morocco, just one hour south of Tangier. 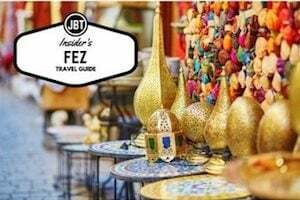 While not completely off Morocco’s well-beaten path, it’s often missed by travellers bound inland for Fez or Chefchaouen, yet has a uniquely alluring charm. With an immaculately restored medina that’s re-painted vivid shades of blue & white each summer, Asilah has the feel of being Morocco’s own Santorini – a great spot to see the more chilled out, seaside town life in Morocco. The town lies in the middle of a fascinating history in historical, architectural and artistic terms. It’s 3,600 year old history that includes a varied range of occupiers, involving Roman, Arab Portuguese, Spanish and French colonisation. Many famous writers and artists have spent time here; in ancient times is it reported Hercules did a tour of the area and, more recently; Paul Bowles, Tennessee Williams, Edith Wharton, Jean Genet (who is buried in the nearby town of Larache), William Burroughs, Jimi Hendrix and Henri Matisse have all found the area inspiring. The Portuguese ramparts remain fully intact and a full day can be spent wandering through its old gates and the ever narrowing medina streets inside the walls. 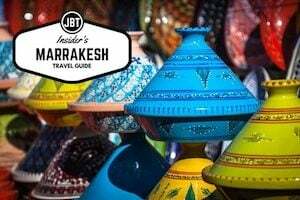 5 Places You Won’t Go in Morocco, but Should! In the ancient trading town of Asilah, Raissouni Palace is a towering symbol for the area’s renaissance. Until about 30 years ago, Asilah crumbled under centuries of neglect. Fortunately, hometown hero Mohammed Benaissa inspired others to take an interest in the community’s beauty and heritage, sparking a flood of rehabilitation efforts that have created the cultural capital seen today. Asilah’s Raissouni Palace serves as an unofficial “palace of culture,” and it is a magnet for all things artistic, creative and historical. Yearly festivals, including a prominent string of events in August, let Raissouni become the town’s centerpiece. Like most towns in Morocco, Asilah has a walled medina. But in Asilah, the walls are painted with colorful, elaborate murals. For the last thirty two years, the Asilah Arts Festival has rehabilitated and promoted the city of Asilah by fostering artists from around the world. Asilah is a resort town on the coast of the Atlantic Ocean, only fifty kilometers from Tangier. For the first two weeks in August, the town explodes with culture while it hosts the Arts Festival. Artists use the festival as a way to exhibit their work for the public and exchange ideas with other creative individuals. Every year a group of painters collaborate and design a wall mural at the Medina. Visitors are invited to watch the work as it progresses. If fishing is your passion, the fresh and salt water beaches and lakes of Morocco offer the pure mountain air and the warm, Moroccan sun making these charming villages the most memorable fishing and vacation venues in the world. The fishing industry in Morocco is a leading foreign exchange earner and considered the largest fish market in Africa. What is a source of economic wealth for the locals has also become a boom for tourism attracting Europeans, Americans, Canadians and other world travelers. The three best villages in Morocco that embody everything you want in a vacation destination, beautiful beaches, amazing cuisine and the best catch for any hungry fisherman can all be found in Asilah, thirty minutes from Tangier; Ifrane, a French-built, chalet-style town; and Essaouira, where you can feast on the freshest fish in the world. Most people who venture to Morocco know about the famous port cities like Tangier, Casablanca and Rabat. The well-researched traveler (hopefully reading our blog!) has also most likely heard of Agadir, Essaouira and maybe even Safi. There are standard tourist stops in all cities but there are many other lesser known things to do and see in these big cities as well as smaller, lesser-known port cities. The northern port cities are those bordering the Mediterranean Sea and portions of the Atlantic coast. These cities stretch from the Morocco/Algeria border to Kenitra on the Atlantic side. Whether visiting the northern or southern cities keep in mind the busiest times of year are in the summers when they are flooded with tourists and Moroccans alike. The down season is in the winter/rainy months. If you’re seeking anything other than just a sun tanning experience, the winter months might make for a great visit because of the cooler weather, fewer tourists and lower prices. 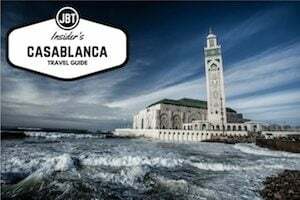 If your visit finds you on the northern coasts of Morocco, here are some port cities and activities you might want to explore. When you visit Morocco, you have a host of choices to make about where to visit and what to do. 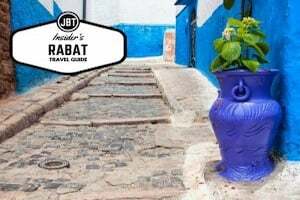 If you’ve visited Morocco before and have hit all the highlights, or you’re looking for a low-key, under-the-radar destination, consider visiting Asilah, Morocco. Asilah is a very interesting blend of laid back and city, cultural and tourist, and all the lines that meet in between. Asilah’s story is of a town of once great importance in Morocco and fame that then wasted away with the inevitable changes of time, but in the past several decades has worked to make itself one of the centers of culture in the entire Muslim world—and thus bring the town back into modern relevance. Asilah is a small fishing village whose history stretches back nearly 3,500 years. The reason for this is that Asilah, already known for its beaches, is also a natural harbor that has been used by many groups throughout the centuries including the Phoenicians, Carthaginians, Byzantines, Romans, Arabs, Normans, and Portuguese. The Portuguese built the large walls, ramparts, and fortifications that give the town its distinctive appeareance to this day. Asilah was finally reunited as part of Morocco near the end of the 17th century, and served as a major pirate haven for the next 200 years. Asilah is a far quieter place now, with pirates and wars long forgotten, though the city walls and ramparts remain in beautiful shape because of restoration work. Today it is a popular tourist destination, in part because of the aptly named Paradise Beach, a relaxing pace of life, and a series of cultural festivals that have made Asilah one of the great cultural centers of the Muslim world. There are multiple festivals through out the year encouraging Muslim artists and the expansion of culture and art. August is particularly a major month for these events, as August is considered “the cultural festival.” Started in the late seventies, these festivals helped turn Asilah from a dilapidated town without much importance in modern day Morocco to becoming a major destination for tourists and artists alike. The August cultural festival seems to turn the entire city of Asilah into an art gallery. Artists will show exhibitions of their work to the public in the Pasha Raissouni Palace—but their work is not just contained there. The artists will display their work on the streets, and even on the walls of the town itself. Music, art, and a plethora of other activities that are designed to encourage an artistic culture. Asilah has become the artists’ hangout in Morocco, fulfilling the hopes of the city when the festivals and planned renovations began in the late 1970s. Asilah is easily accessible from the nearby city Tangier by train or bus, which makes it a popular spot for tourists to take a few relaxing days to recharge after seeing the sights of a bustling tourist city. Asilah has a nice variety of hotels, from high end to cheap but clean, to multiple camp sites specifically for those backpackers and travelers who came for Morocco for that sort of adventure. Most of the campsites are located on or close to the beaches by the sea, giving a beautiful view to wake up to in the morning, and the calming sound of the ocean to fall asleep to. Being a coastal town long sustained as a port and fishing village, it should come as no surprise that some of the restaurants in Asilah claim the best sea food, as discussed in our Morocco travel guide . If you are a sea food fan, this is definitely a place worth stopping to check out the local menu. Asilah’s transformation into a cultural and artistic hub has once again restored it to a place popular to visit and important to the country. The town has spent much of its new found wealth by re-investing in the town itself, and the positive effects show. Even when construction is booming, all designs try to stay similar to the original appearance of their ancestors’ homes—often even using the useable parts and materials from old buildings that had to be torn down due to disrepair. In the late seventies Asilah was considered nothing short of dilapidated and only a short stop on the way to Tangier. Thanks to the culture festivals, started by two locals who had dreams of seeing their town return to prominence and glory, that is far from the case. Asilah’s restorative efforts are nationally recognized in Morocco, and their culture festivals are perhaps among the greatest in all the Arab world. Asilah has become a beautiful town that tourists and travelers of all sorts can appreciate from the brightly decorative murals on building walls to the long walks by the sea. 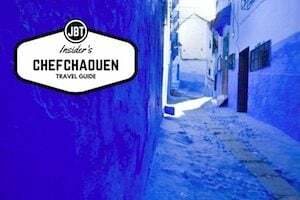 Asilah is a laid back, easy going town with a lot to offer travelers in Morocco, whether artists or not, and should be a mandatory stop on any Moroccan tour. This town is an amazing example of how a few individuals can change a place for the better, and make something amazing that was maybe beyond even their wildest dreams.